Citizens activities are profitable! Vauban is Freiburg's district, where citizens are busy in co-operation. It works only by a citizens association! Today more important than ever! 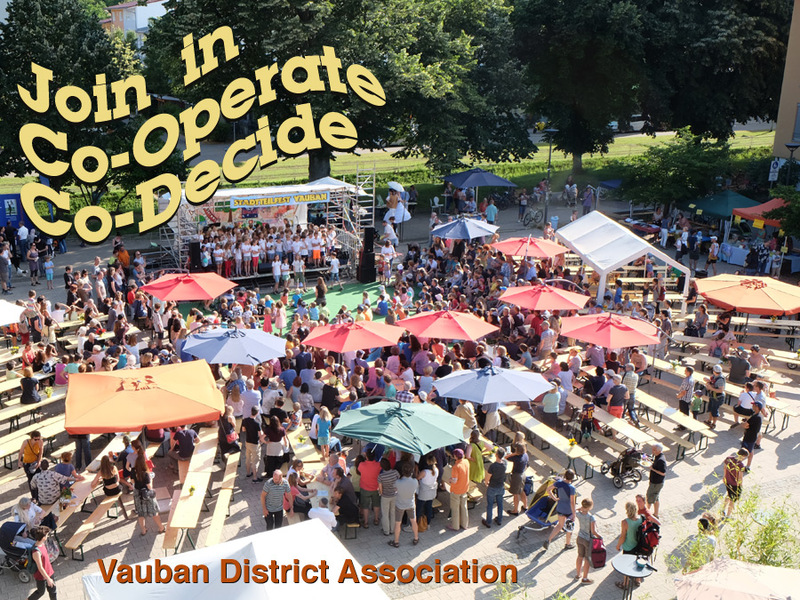 Join in the Vauban District Association!